Please contact our sales staff at (888) 474-3102 for information about our product offerings. You and your business place trust in your hosting provider to deliver a reliable hosting experience and expect nothing short of results. Your main focus is growing your own business and not spending countless hours managing your website or email system. 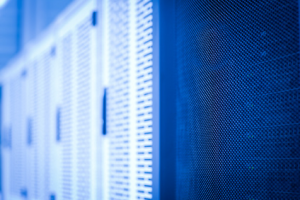 Our hosting servers are housed in enterprise climate-controlled data centers with backup power generation, and redundant connectivity to the Internet. What sets MyCHS apart from other providers is preventative maintenance, proper monitoring, and skilled / experienced server administration. Not every network / server outage is typical. On many occasions the symptoms do not always lead to the root of the problem. Experience is the best guide. The management and server administrators at MyCHS have over a decade and a half of administration and support management. In addition, our support staff has over a decade of experience troubleshooting web and mail related services. We can't prevent all outages, however, our experience is our best asset. There are a large number of web hosting providers that offer low cost control panel hosting with email only or call back support. What happens when something goes wrong? There are a number of components that must work in sync to bring you reliable hosting services. Servers can and often fail. Like most things in life, with shared hosting you get what you pay for. Most low priced web hosts provide you extremely low cost services but fail the test of dependability. The management and staff at MyCHS will not sacrifice service and support so we can offer a hosting package which costs less than a cup of coffee. We have made an investments in our support staff with the main goal of getting things right the first time. You can often judge a company by who they do business with. MyCHS partners with strong companies such as Cologix, Linode, OpenSRS, Appriver, and many other industry leaders.